The Commemorative anniversary edition of this landmark work which powerfully encapsulates a new way of looking at living things - a gene's eye view. 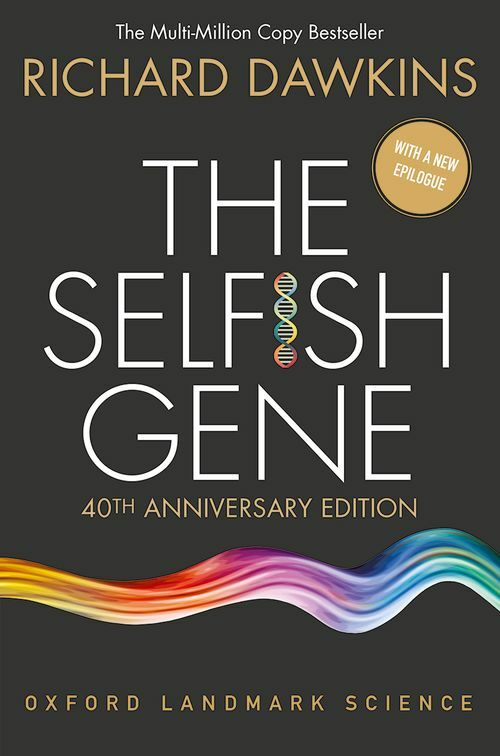 Originally published in 1976, this book remains a classic work in the development of evolutionary thought, and its influence is undiminished today. Richard Dawkins, Emeritus Fellow of New College, Oxford. Professor Richard Dawkins is one of the most influential science writers and communicators of our generation. He was the first holder of the Charles Simonyi Chair of the Public Understanding of Science at Oxford, a position he held from 1995 until 2008, and is Emeritus Fellow of New College, Oxford. His bestselling books include The Extended Phenotype (1982) and its sequel The Blind Watchmaker (1986), River Out of Eden (1995), Climbing Mount Improbable (1996), Unweaving the Rainbow (1998), A Devil's Chaplain(2004), The Ancestor's Tale (2004), and The God Delusion (2007). He has won many literary and scientific awards, including the 1987 Royal Society of Literature Award, the 1990 Michael Faraday Award of the Royal Society, the 1994 Nakayama Prize for Human Science, the 1997 International Cosmos Prize, and the Nierenberg Prize for Science in the Public Interest in 2009.